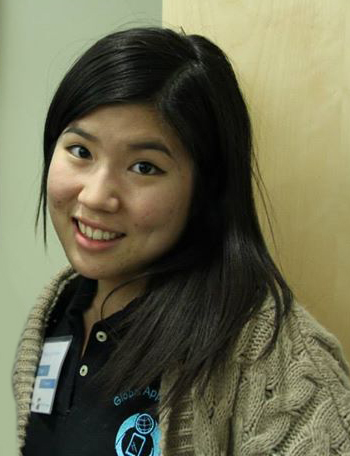 Yuen Chun (YC) is a Junior at Boston University, where she studies Finance and Operational Management. She is passionate about the idea of "giving back" and believes that the uprising trend of the social enterprises is the key to make our community a better place. At BU, she is the Treasurer of Global App Initiative, which is a student organization that provides education to students to make free mobile (iOS and Android) apps for nonprofits. Apps made by her club have a significant impact on their nonprofit clients from improving the volunteering sign-up system to supporting a medical project in Neluja, Zambia. As Treasurer, she has been restructuring the club's financial system and collaborating with local businesses to raise money and to find more resources for the GAI members. The best thing about MCN Fellowship is the opportunity to meet and discuss with other student leaders from different campuses. I was surprised to find that most student groups around world tend to have similar problems and it was very useful to get advice from them. Another thing I love about MCN Fellowship is the sessions that teach us how to be a better leader (e.g. how to lead, how to delegate, how to budget) to facilitate and to make the most out of our organizations. By helping us with grow as an organization, we are able to create a bigger and more sustainable impact to our community.